October 2018 is the Eleventh Anniversary of “Madeline’s One Minute Musical Radio Show” and the Twelfth Anniversary of “Madeline’s Monthly Musical Tips Blog/Article”. This month our Radio Show and blog celebrates the life and work of Dr. Margaret Fountain Pinkston, Chemistry/Biochemistry Professor, mentor, musician, wife, mother, and grandmother. Many years ago, I began researching the scientific link between studying and playing a musical instrument and academic and societal success. I asked the “American Amateur Chamber Music Society” to ask its members to write in about their connections between studying a musical instrument and their academic success. Dr. Margaret Fountain Pinkston was kind and generous enough to write and share her musical career and her scientific one with me. Included are two articles on how listening to classical musicin the background of a school classroom and in the hallways improves students concentrate and focus on their work. The first article is by Mrs. Elizabeth Hamilton our Radio Show’s “Lifetime Achievement Award” winner in 2015. Radio Show Feature Question for October 2018: How did classical music play a part of Dr. Margaret Fountain Pinkston’s life as a Professor of Chemistry/Biochemistry, musician, wife, mother, and grandmother, and what musical instrument did she play? Margaret Louise Fountain was born in Macon, Georgia on January 27, 1919 to Claude Russell Fountain, a physicist and Lucy Emilie Landru Fountain. Margaret, her sister Betty, and their parents moved to Nashville, Tennessee when she was very young. Margaret attended a performance of the famous violinist Fritz Kreisler and was inspired to begin studying the violin at 5 years of age. She was an excellent student in school. At 16, Margaret Fountain went to New York City to study violin at the Juilliard School to become a concert violinist. She earned her Violin Performance Diploma in 1939 at the Juilliard School and continued to study violin with Edouard Dethier, for the next 6 years for postgraduate study, (1936-1945). Margaret Fountain was one of thirteen women chosen from the Juilliard School to travel with the USO to perform for the conquering troops in Germany in May 1945. Margaret was the concert master of the group. In 1946, Margaret Fountain married James Oliver Pinkston and they moved “to Beirut, Lebanon where he was Dean of the Medical School at the American University of Beirut- she poured her energy and enthusiasm into raising their children. Concerned about growing tensions in the Middle East, they returned to the United States in 1950”. They moved to Brooklyn, New York where their third child was born. Margaret Fountain Pinkston raised her three children, played violin in the Brooklyn Philharmonic, in churches, and other local performances for the next twenty years. In 1967, “with two of her children in college and one in high school”, she pursued another degree securing “free tuition.” She studied Chemistry at Brooklyn College graduating in 1971 with a BA in Chemistry,Phi Beta Kappa. She went on to earn her Ph.D. in Biochemistry in 1976 at the age of 57. Dr. Margaret F. Pinkston moved to Staunton, Virginia in 1976 to teach Chemistry/Biochemistry at Mary Baldwin College until her retirement in 1989 with the title of Professor Emerita of Biochemistry. Advancing Scientific Study: Dr. Pinkston received grants from the National Science Foundation for electrophoresis and chromatography equipment and she published “several scientific articles and a book about protein interactions.” At Mary Baldwin College, Dr. Margaret Pinkston was the first to experiment with tissue culture. At Mary Baldwin University they have awarded the “Peggy Pinkston Bio Chemistry Research Award” since 2013 in her honor . ‘Sweet,’ ‘kind,’ ‘gracious,’ ‘talented,’ a rare, gentle lady, with all the old associations of ‘gentle,’” wrote Frank Southerington, professor emeritus of English. “Peggy was a ‘lady’ in every sense of the word. She was gracious, real, and appreciated the art of science. She found her God in the bio-molecules of music and chemistry and expressed her faith in her interest in and love for her students. The world has lost a marvelous mentor, and Heaven has added another violinist in its angelic symphony …” wrote Lucy Jones Clyde. “Dr. Pinkston opened my mind to the range of possibilities that a woman could pursue. 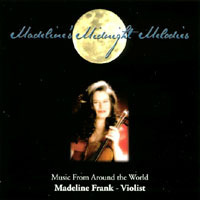 Here she was a Ph.D. in biochemistry and an accomplished violinist as well. She was a powerful role model to young women just breaking into science in the late 1970s,” wrote Joi Phelps Walker. Dr. Margaret Fountain Pinkston was an American Chemistry/ Biochemistry Professor, Mentor, wife, Mother, Grandmother, and lifelong musician. She died on September 24, 2011 in Staunton, Virginia at the age of 92. Dr. Margaret Fountain Pinkston as a Professor trained generations of students to understand and enjoy learning Chemistry and Biochemistry. Mrs. Elizabeth Hamilton won our prestigious “Lifetime Achievement Award for April 2015”. She is an Internationally known expert in teaching “high moral values”, “character” to students in public and private schools. Mrs. Elizabeth Hamilton has been a master teacher for 50 years. She is a former principal in public and private schools for 6 years in grades k-12, and an expert in teaching “Character” to students in public and private schools in grades k-12 for over 25 years. During the past 17 years, she has written and published more than 20 books on “Character Building” as well as hundreds of articles. Thousands of public and private schools around the world are using these materials to make amazing, positive changes in their students. She has also been a missionary, and bestselling author for “Date With Responsibility” and “Remember Pearl Harbor”. Classical music played in the background of their classroomhelps students learn to relax, allowing them to concentrate, and do a better job on their work. 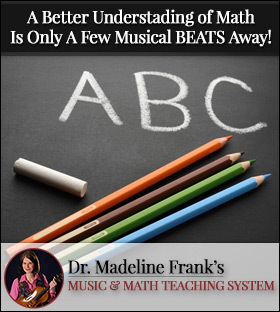 The new school year is also a wonderful opportunity to start learning a musical instrument to learn discipline, cooperation, teamwork, motivation, concentration and self-esteem. 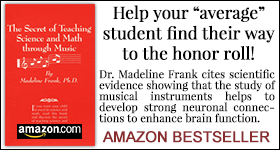 Studying a musical instrument develops millions of new connections, synapses, between nerve cells in the brain. 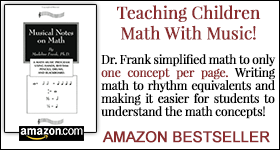 Many of the world’s scientists, doctors, teachers, authors and mathematicians are also musicians. Can playing Classical Music in the background of your classroom help your students to concentrate and do better work in your classroom? A Mastermind Alliance (a term made popular by Napoleon Hill in his book, “Think and Grow Rich“) is a group of people (usually 5-8 people) who help each other grow their businesses, achieve things personally, and hold each other accountable to their goals. They are top sales experts in their fields. Don’t wait until you are “successful” to join a Mastermind. Morris E. Goodman was a young man lacking focus and direction who had dropped out of college. He was in the middle of a 13-week probationary period when he came across Napoleon Hill’s “Think and Grow Ritch”. He went from being an aimless young man to aiming high, taking action on his goals and surrounding himself with great people. In 1981, he sold nearly $15 million in insurance policies in one year ($29.83 million in 2018 dollars) and was a member of the “Millionaire Round Table”. In your business, follow Apple’s lead and hire associates who have a positive attitude, are enthusiastic, eager to help your customers, and love your products. 3). Invest in your relationships and communicate with your “ears”, not just your mouth. John Maxwell has a great “short course in human relations”: in his book, Relationships 101. If you find yourself in a sales slump, heed the advice of the legendary Zig Ziglar and “Return to the fundamentals with a proper attitude”.